Posted on 29th March 2019 at 5:16 pm. A bespoke MEGAFID (mega flight information display) has been installed at Luton Airport, complete with Absen N4 LED panels which were selected following testing by the airport’s integrator, the SPC Group. A 7×4 N4 display has been implemented within the entrance to the baggage hall, which also hosts advertising by onward travel providers such as coaches and trains. A second N4 display, sized 11×4, has been installed at the entrance of the international departures lounge and rotates through the flight information on one half of the screen, while the other half is used for advertising airport’s partners. Finally, a third and fourth board at the North end of the international departures lounge above Hawker Bar & positioned at landside arrivals, screens a similar mix of flight info and advertising content. 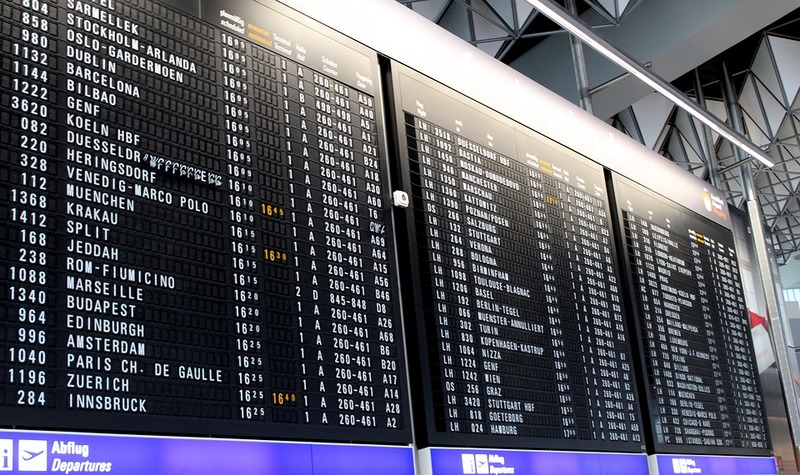 Digitalisation is more crucial than ever to modern day airports, especially when it comes to keeping passengers informed with real time information about their flights, or driving additional revenues by attracting premium advertisers who are looking to reach a captive audience. December 2018 marked the unveiling of the £160 million terminal upgrades at London Luton Airport, the biggest in the airport’s 80-year long history. The improvements have seen some direct benefits initially, with capacity expanded by 50%, and they are now on track to welcome 18 million passengers a year through its doors by 2020, having seen footfall already increase by 35%. From the end client perspective, Absen has a lot to offer. “As part of LLA’s £160m transformation to put the customer at the centre of everything we do, LLA wanted the best visual displays to help inform our customers at key points in their journey through the terminal,” said Matt Mullen, passenger environment manager at London Luton Airport. Due to high passenger numbers, the installation work of these new advertising boards took place throughout the night in order to minimise airport disruption. The screens are extremely intuitive and easy to operate, and the airport is safe in the knowledge that any issues are covered by our comprehensive maintenance programme and we carry a full complement of spares to minimise downtime.